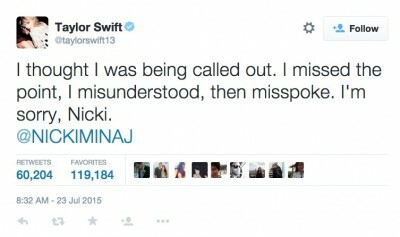 Taylor Swift took the Twitter high road, apologizing to Nicki Minaj over a war of words. The now viral tweet should mark the end of a bitter Twitter exchange between the singer and rapper. Taylor Swift invited the entire U.S. Women’s National Soccer Team on-stage at her concert in New Jersey Friday night, complete with their winning cup. The appearance was a crescendo for the girls who won the Women’s World Cup last Sunday. Taylor Swift aka Firefly Ent., has implemented a very strict contract stipulation for photographers who capture the pop star while she performs on the 1989 tour. 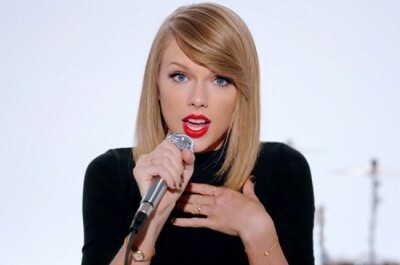 Taylor Swift Letter To APPLE: SCREW YOU! NO MUSIC FOR YOU! Taylor Swift made public a letter to the Apple Corporation explaining why her album, 1989, won’t be coming to the tech giant’s new music service, Apple Music. Beginning the letter, “To Apple, Love Taylor,” Swift first praises Apple as one of her “best partners in selling music” before slamming their decision not to pay acts during its free three-month trial for users who sign up. Taylor Swift FUNNY Belly Button Memes! Taylor Swift‘s belly button makes extremely rare appearances, so when she showed it off recently, it was instantly a photo for the ages. Then came these hilarious memes..
Taylor Swift and Calvin Harris have entered into some full court PDA attending last night’s Kenny Chesney‘s concert in Nashville. Taylor Swift got into a gnarly catfight with none-other than her cat.. Swift, 25, showed off a nasty scratch on her leg, which is insured for a cool $40 million, her legs, not the cat. “Great work Meredith I was just trying to love you and now you owe me 40 million dollars,” swift captioned the snap. 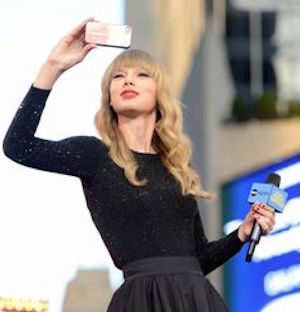 Taylor Swift was the victim of a Twitter hacking compliments of the prolific Lizard Squad. Swift fans were the recipients of a strange tweet directing them to follow user @Veriuser. That Twitter user is now suspended. You’ve never seen Taylor Swift‘s belly button, until now, so brace yourself. Swift’s belly button made a rare appearance after forever being shrouded in mystery. Did Taylor Swift Rock Unicorn Illuminati Necklace? Taylor Swift performing at this season’s Victoria’s Secret Fashion Show wearing a unicorn horn, an Illuminati favorite.